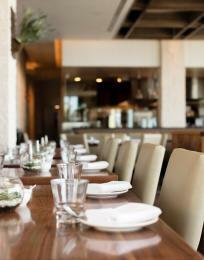 Located across from Bella Terra off Edinger Avenue, Stacked is “well-built” with all the bells and whistles. It brings the build-your-own concept to breakfast, with an iPad ordering system for easy customization and a robust menu of morning cocktails featuring classics like the bloody mary and white sangria alongside innovative creations such as the breakfast shot of butterscotch schnapps, Jameson, orange juice and a bite of bacon. Choose an entree from a base of pancakes, French toast, scrambles, burritos or Benedicts, add any of the dozens of ingredients to your heart’s content, then dig in. 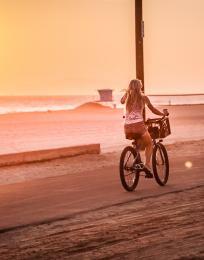 Open for nearly 50 years, the family owned joint on Main Street is a Huntington Beach institution. 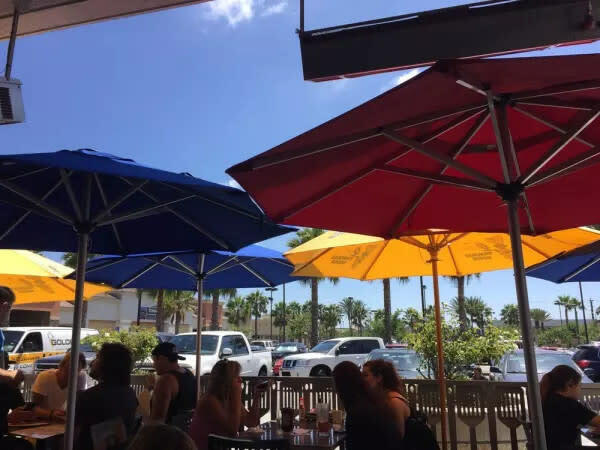 Seating is limited, but if you’re lucky enough to grab a spot on the patio you can people-watch while enjoying home-style breakfast classics. 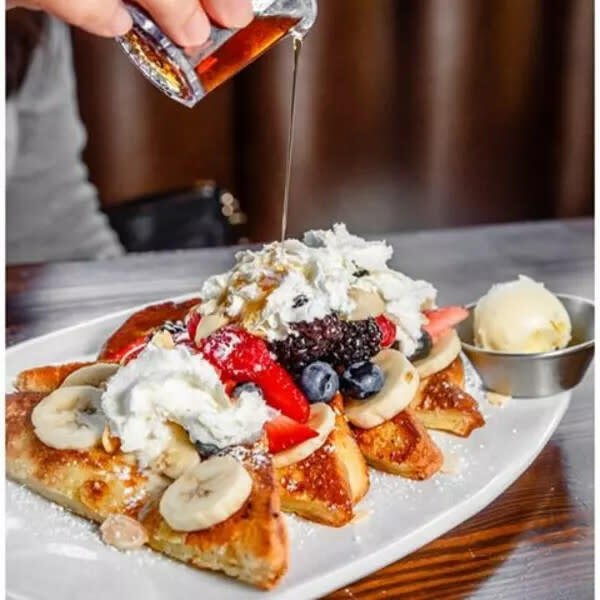 Those with a sweet tooth will love Peggi’s French toast, with cinnamon raisin bread and boysenberry syrup that will kick-start your day on a sugar high. 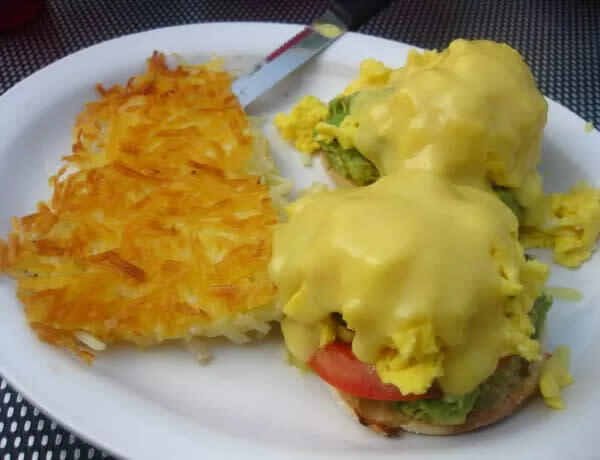 Eggs are served up in omelets, burritos and combos with hot-off-the-grill meats like bacon, sausage and top sirloin steak, but for a real indulgence, the Keppler’s special drenches fluffy scrambled eggs atop an English muffin with rich hollandaise sauce. Served with sliced avocado, tomato and a strip of bacon, plus a side of crispy golden hash browns, it’s a breakfast for big appetites and provides more than enough fuel for a day of exploration. Mama’s on 39 has all the morning fixings: hashes, Benedicts, chilaquiles, scrambles and even a breakfast pizza pie. 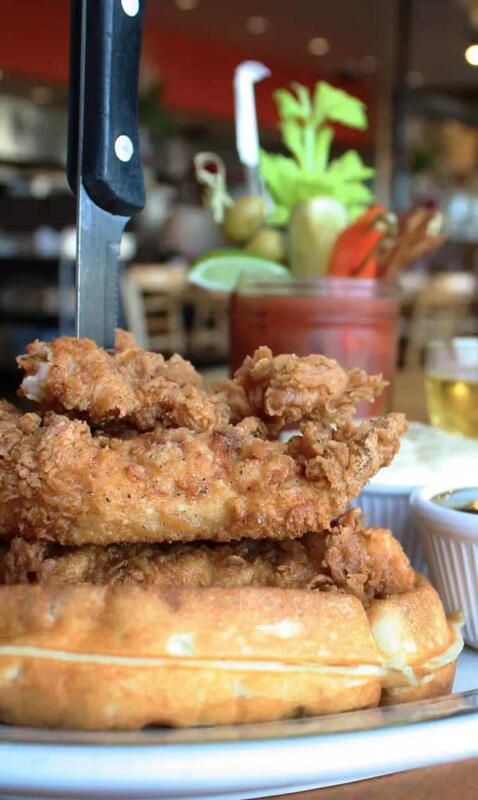 At the corner of Beach Boulevard and Atlanta Avenue, Mama’s is a casual joint where the whole family is welcome—though the 21+ crew can enjoy two hours of bottomless mimosas seven days a week for just $13.99. Skip your basic breakfast here and break your diet with the popular chicken and waffles or Mama’s Breakfast Bomb of two eggs, smoked ham, bacon, sausage and cheese served up on a sweet Hawaiian roll. Go big or go home at The Original Pancake House, located in the Ralph’s shopping plaza at Brookhurst Street and Adams Avenue. It may be a chain with outposts across the country, but the enormous apple pancake is a decadent treat worth mentioning. Standing a few inches tall and taking over the full expanse of a plate, the famed pancake features layered slices of sauteed apples and a cinnamon sugar glaze. 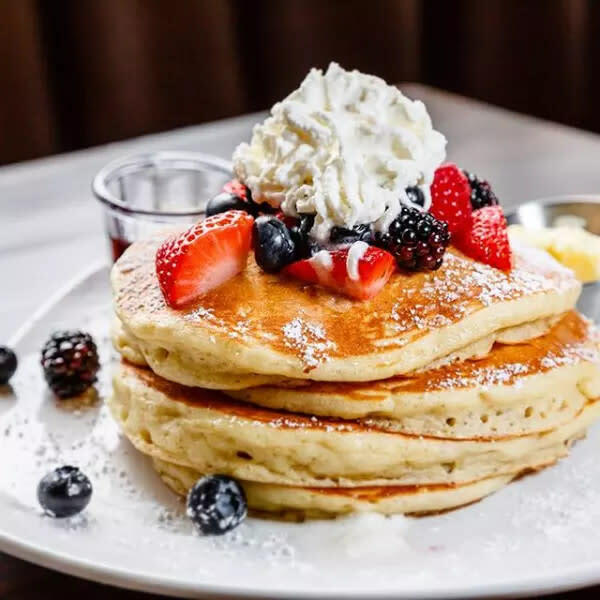 If thick, doughy pancakes aren’t your cup of tea, try the airy Dutch baby or a Benedict with a side of four potato pancakes, served thin for a satisfying crunch. 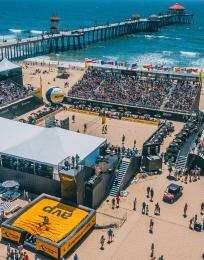 Hours: Open daily from 7 a.m. to 2 p.m. 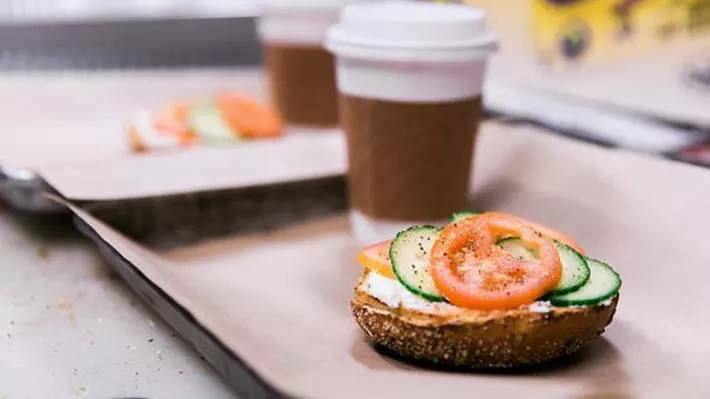 Created by surfers, for surfers, Sessions West Coast Deli’s breakfast menu offers great early morning grub for those who are done hitting the waves. 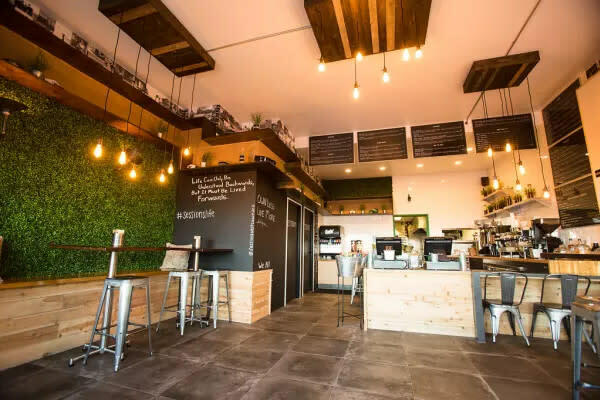 Across from the beach at Fifth Street and Pacific Coast Highway, Sessions serves up artisanal breakfast sandwiches and burritos with a focus on fresh flavors. 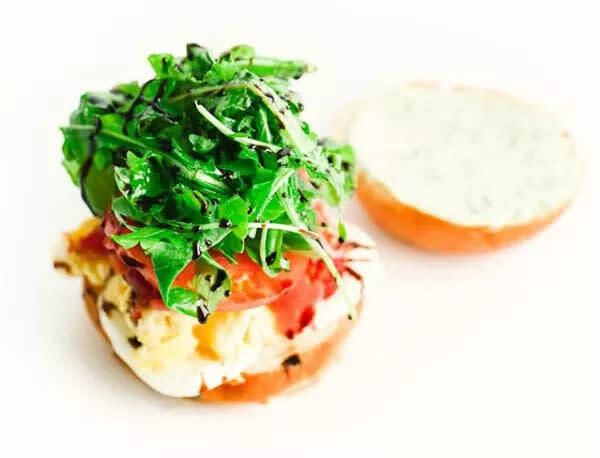 The Summer Zephyr—a lunchtime favorite—gets a morning makeover with scrambled egg, savory bacon, tomato, baby arugula and a balsamic reduction. Or, opt or a dash of whimsy with the Green Eggs and Ham on toasted brioche with swiss cheese, arugula and house-made basil pesto. 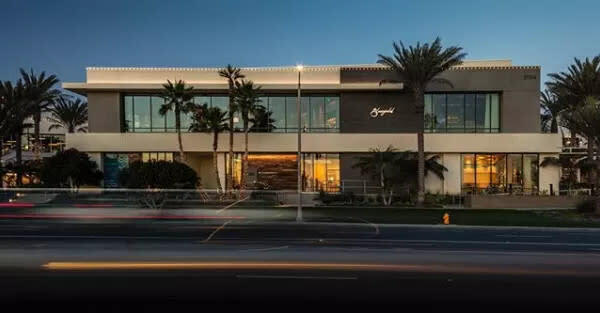 Pacific City’s newest eatery, Bluegold offers a setting fit for royalty. 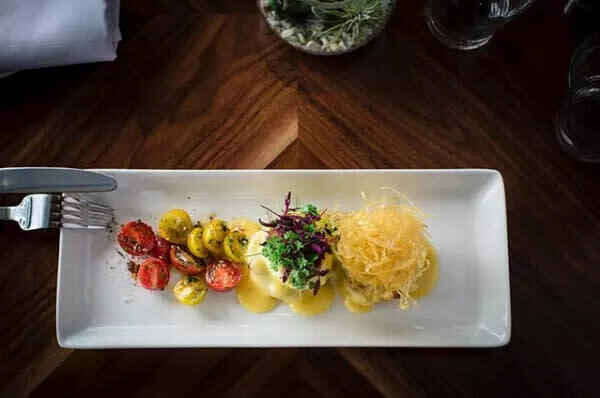 The breakfast menu is small yet elegant, with options ranging from morning classics to brunch favorites like the onion soup gratinee, a rich beef broth with cave-aged gruyere and baguette crostini. Selections are as simple as bagel and lox or as deliciously complex as the shakshouka dish, which brings together soft eggs, kale and a yogurt-cheese blend in an aromatic sauce of stewed onions and peppers. No Ka Oi brings the island vibes to Main Street at its downtown location next to Sugar Shack. You’ll find traditional breakfast favorites like bacon and eggs, waffles and pancakes laden with fun Hawaiian twists. 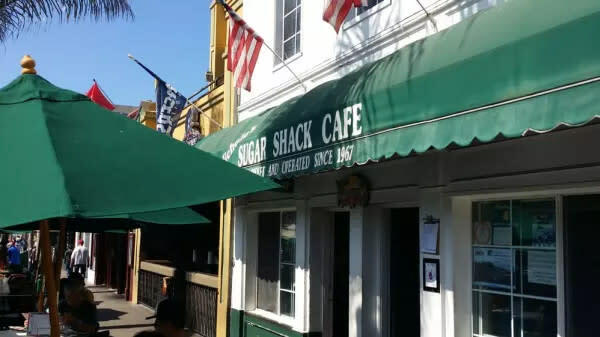 Macadamia nut pancakes, French toast made from King’s Hawaiian bread with coconut syrup and a Portuguese sausage breakfast burrito are just a few of the island flavors, but don’t miss the loco moco. 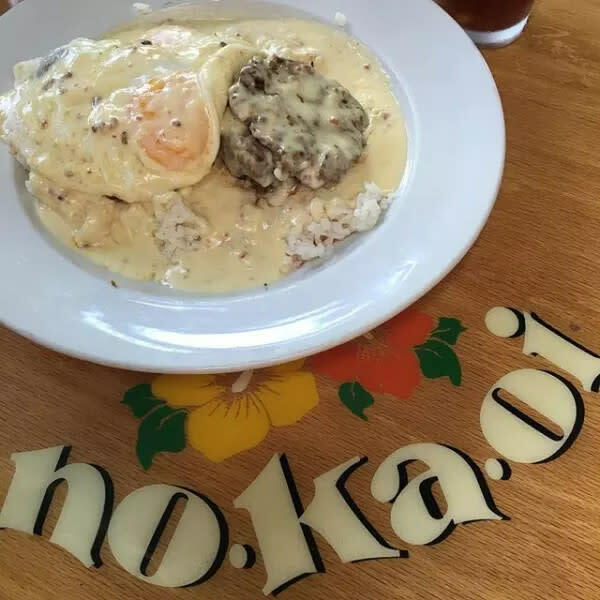 A traditional Hawaiian breakfast, No Ka Oi’s loco moco features a hamburger patty nestled into a bed of white rice, topped with one egg any way and a generous serving of gravy for a plate of rib-sticking goodness.